This is John. 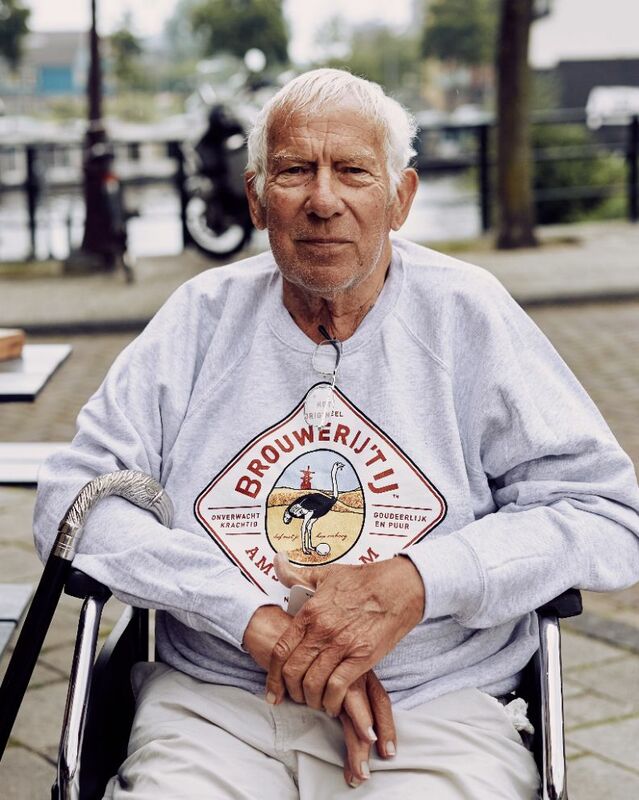 He sounds as American as can be but was born in the Frisian village of Achlum, in the north of the Netherlands, 76 years ago. He and his family moved to the United States when John was seven years old. They arrived in New Jersey where, as proper Dutchmen, they started dairy farming right away. Now, 69 years later, John is back in the country of his earliest youth and brought his four sons along to explore it. John has a raspy voice. “It’s probably my last time”, he says. Together with his sons he travelled to the village where he was born. They visited people who had known their relatives back in the day, paged through photo albums and had a glass of local liquor in the cafe that once belonged to Johns uncle. “Very well received”, John sums up his experience. 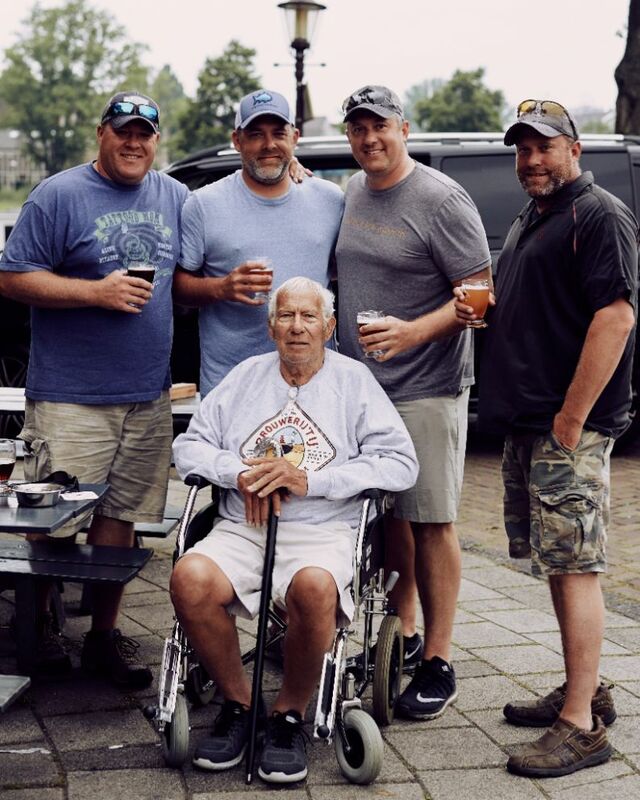 John left his own cane somewhere up north and so his sons bought him a new one in Amsterdam’s Red Light District. It came with a condom, which they pulled off its silver bird head before their father could use it. The cane rests against his wheelchair now. “It has been wonderful”, John says about the trip to his country of origin. Just before flying back to the States he came over to our tasting room for a good glass of beer. His sons had another, then helped him into a taxi van to the airport and off they went. We hope he still wears that sweater.